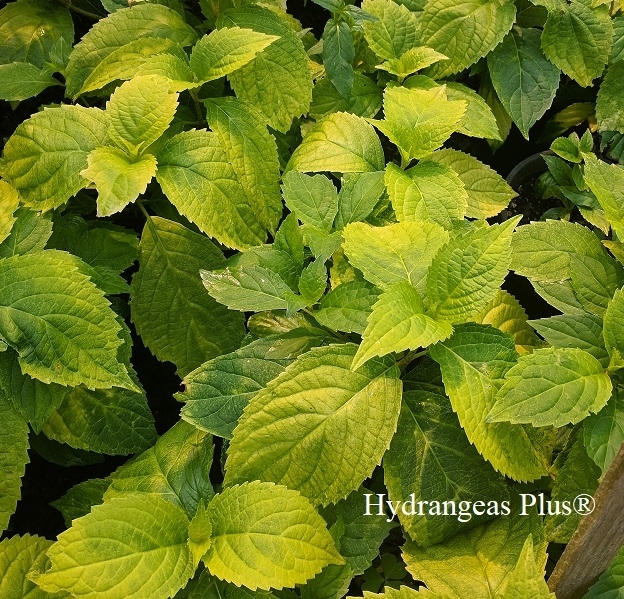 We are so thrilled to offer this unique creation from Ozzie Johnson, a cross between hydrangea macrophylla and serrata. Lacecap bloom is pH sensitive but the foliage is a knockout! In our mild climate, we get yellow foliage but Ozzie says in their warmer climate, leaves turn a creamy white! I love this plant!